Around my house we have a bunch of budding artists. I ordered these 10-Color LINKYO Liquid Chalk Marker Pens with Erasable Ink and Reversible Tips and we have been having a blast with them. At first, when I saw chalk markers, an image of drawing on a chalkboard crossed my mind, but there are intended for nonporous surfaces instead. You could use them on a chalkboard, but would probably not be able to remove the color once you did. These work great on nonporous surfaces though. I had fun drawing on a couple of mirrors, and the kids enjoyed painting gift tags for some gifts we were giving to friends. A bit of marker got onto the table and it washed right off with a wet cloth. Just follow the included instructions for use, and you will be creating some beautiful artwork in minutes. The colors are so bright and vibrant, the kids and I loved them. 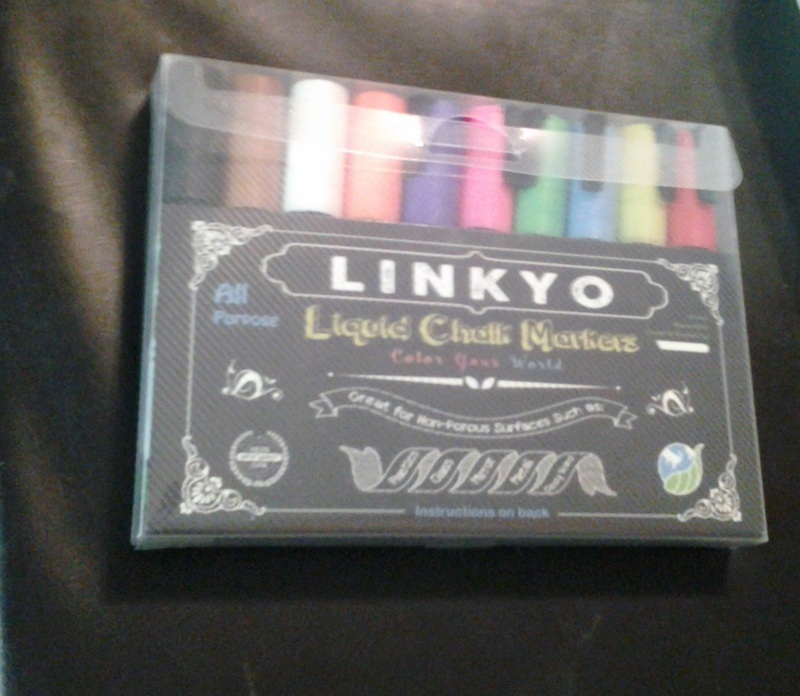 I highly recommend these markers for both adults and children.